It’s not difficult to understand why- I’am a businessman. The idea of promoting my business amongst my prospective customers and peers is central to my existence as a competitive trader. Far too often, and far too many traders ignore the aspect of promoting themselves ‘powerfully’. What’s a business that ignores talking about itself? A great idea, all that enthusiasm could be lost if not channelized properly to reach the target audience. Lesson 1- Promote yourself like there is no tomorrow. And that’s exactly what I do. I attend tradeshows; I use all the ideas of promoting via the mass media- hoardings, newspaper ads and the lot, followed by some good old time networking at the Club. However, my world took a turn for the better with three little words- B2B. 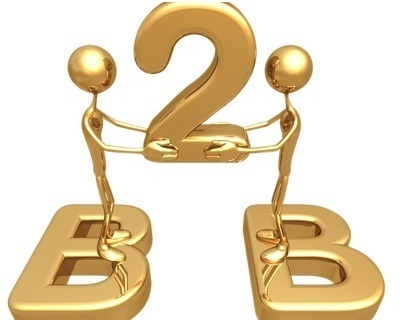 The basics first, B2B stands for ‘Business to Business’, an innovative concept wherein a Business deals with other Businesses to either buy products/raw materials or sell their own products. This concept is different from ‘Business to Consumers’ (B2C) as the buying or selling interaction happens between businesses rather than the business and its end consumer. B2B is a powerful means of expanding my business- and a good B2B website gives me the platform to develop, sustain and profit from my B2B profile. I created my first profile, for FREE I might add, on http://www.toboc.com, a B2B website that has active Sellers and Buyers from over 210 countries across the world. Creating a profile was so simple- took me ten minutes flat and whenever I needed a clarification, the answers could be easily found in the Help Menu. In business, first impressions last the longest and with its easy registration process and intuitive approach, Toboc.com made a strong first impression. B2B is a very good thing for a small business like mine. I might have difficulty competing with my more established competitors in the real world (more resources, more manpower always has the advantage) but on a B2B website, everyone is judged on the basis of the quality that they offer rather than the size and name of their establishment. A level playing field also allows for a chance to reach a larger base of potential customers and form reliable trade partnerships with Sellers and Buyers from across the world. On Toboc.com, I was able to effectively communicate with a number of fellow traders, and pull off some very lucrative business deals. Maybe, a while back the trading communities across the world would have been sceptical of this new means of promotions as afforded by the online B2B marketplace, but players like Toboc.com have helped build credibility for this segment through innovation, persistent quality and a long term, customer centric approach. Indeed, the sky is the limit when it comes to promoting my business on a global scale. Thanks Toboc. Great post/article. You are correct, that sky’s the limit! !